The French adverbial pronouns Y and En follow the same kind of logic. For each pronouns there are 2 main points to understand. The pronoun “en” replaces a noun. Unfortunately in French, there are many French pronouns to chose from according to the grammatical value of the noun, or the way it’s being used. 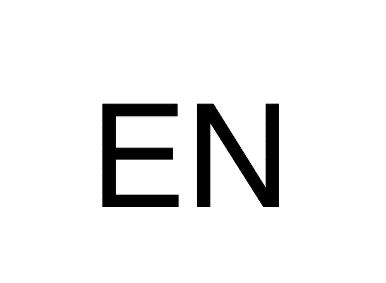 We use “en” to replace a noun modified by a notion of quantity. This quantity is likely to be introduce by a partitive article “De, du, de la, de l’, des” , or a French number such as “un, une, trois, vingt-huit”… or a fraction “un quart”… or an adverb of quantity “beaucoup de, un peu de”… or an expression of quantity “un kilo de, un litre de, une boîte de…”. So, if you translate into English, you could say: “I would like 6 apples – I would like 6 (of them)”… but who would say “of them” in English?? This is a situation where translating is not going to be very useful. You need to understand the French logic and remember to apply it = when you replace a noun modified by a notion of quantity, you need to use “en” in French. J’achète des pommes = j’en achète (plusieurs) – (because of the “des”). Note, you don’t have to say the “plusieurs” part (meaning several), but you can. Je ne veux pas de lait = je n’en veux pas. 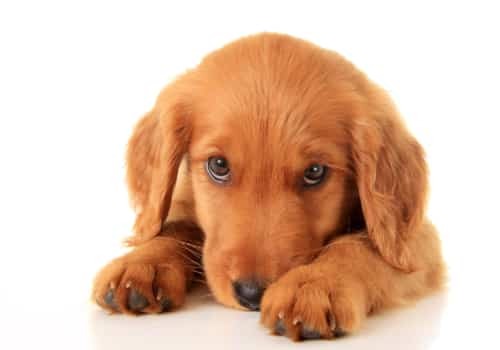 Tu as un chien ? oui, j’en ai un. Same remark. This is tricky for students of French who often forget to repeat the “one”. 2 – En Replaces a THING Introduced by a Verb Followed by “de, du, de la, de l’, des” (not a quantity here). The “de, du , des…” often comes from the verb meaning that this particular verb is going to be followed by the preposition “de”, and that is why you’d be using a “de” there. This is the case for my examples “rêver de” and “parler de”. So, in order to master EN, you should really learn the most common verbs followed by the preposition de in French. And train on making sentences using EN with these verbs. So the negative form is pronounced almost the same way – only the pas (or plus, aucun..) will tell you it’s negative. To master French pronunciation and understand this notion of “gliding” I suggest you check out my Secrets of French Pronunciation Audio Lesson. 4 – En = French Preposition or Adverb? Nous sommes en novembre, en 2012 – we’re in November, in 2012. You will remember these grammar rules and vocabulary much better when you learn them in the context of a story. 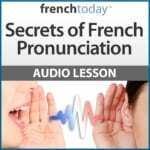 I highly recommend you check out my unique downloadable French audiobooks, featuring different speeds of recording and enunciation, and focussing on today’s modern glided pronunciation, exclusively on sale on French Today.